This stole with pastel colours will give you a casual style with its fringed finish. 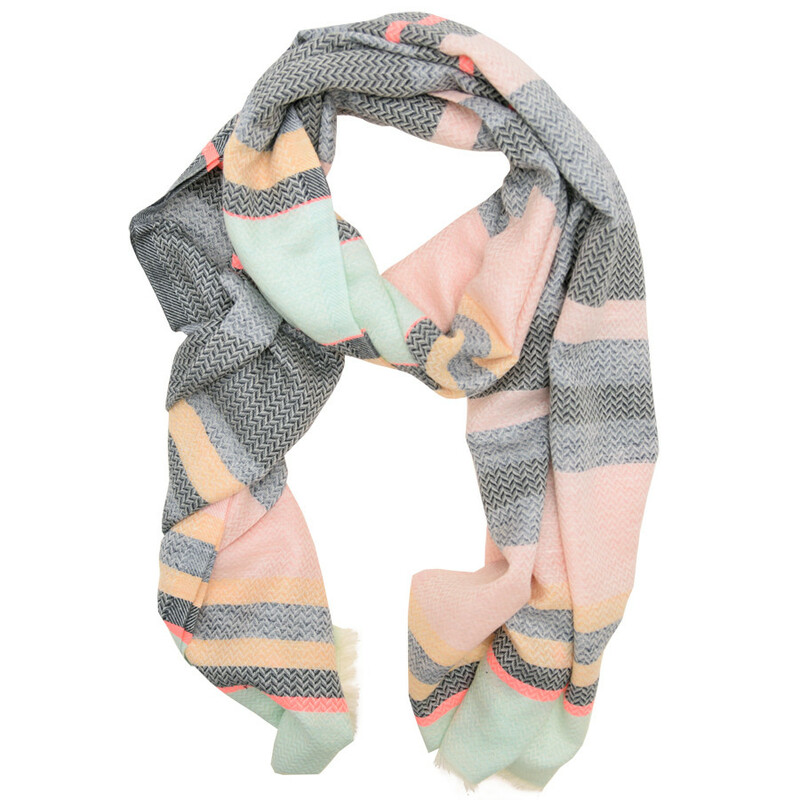 This trendy stole has stripes of different width and multiple pastel colour including pink, grey and green. The fringed finish gives it a casual look. 90% cotton et 10% polyester. Dimensions : 100 x 200 cm.